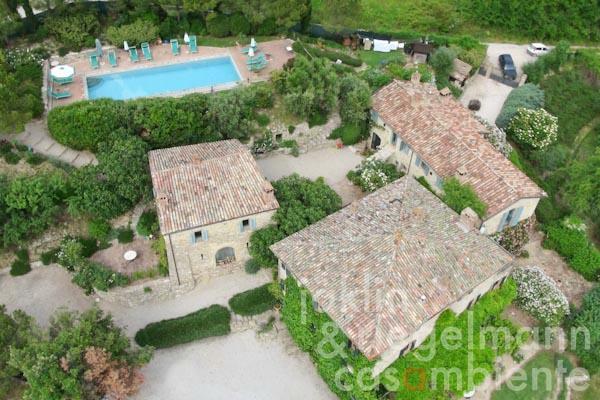 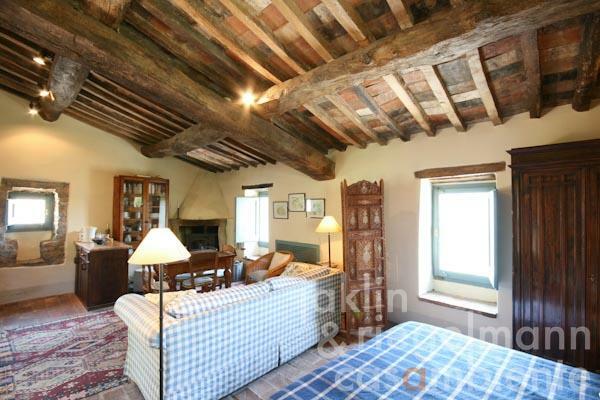 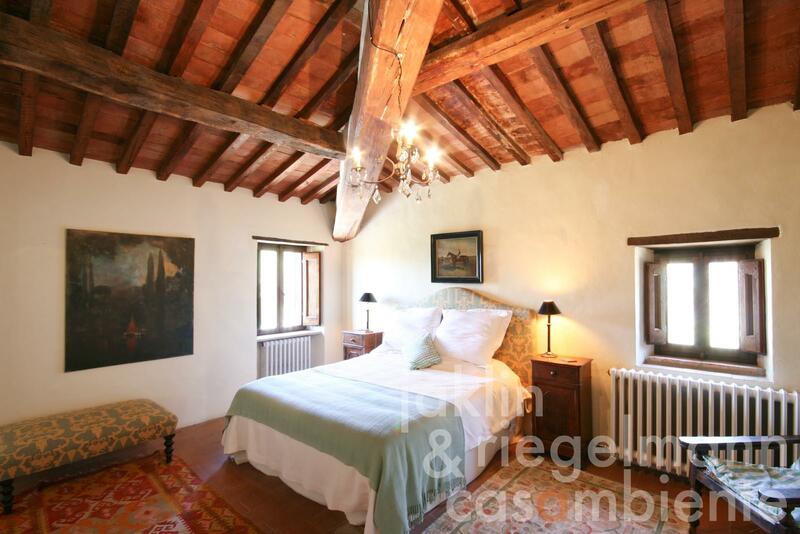 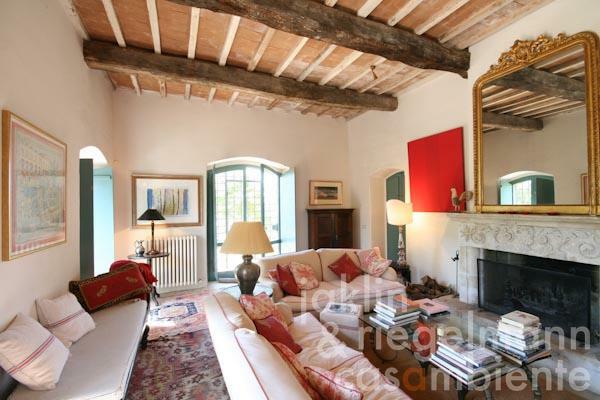 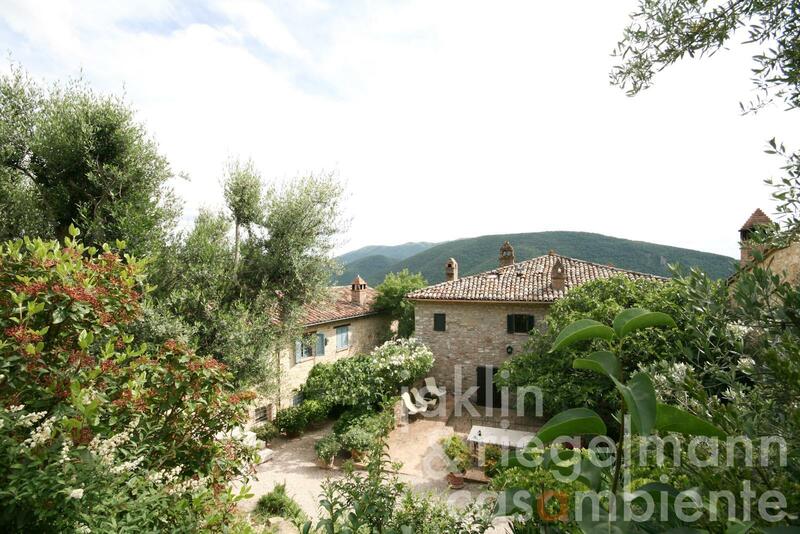 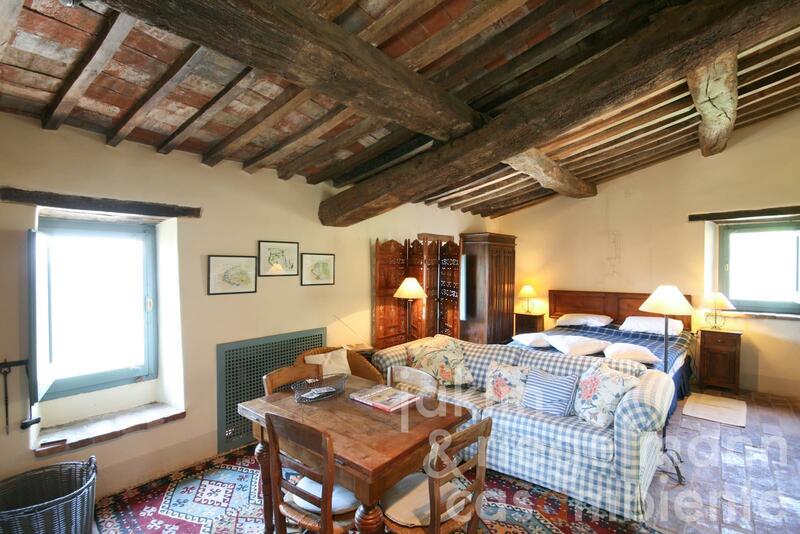 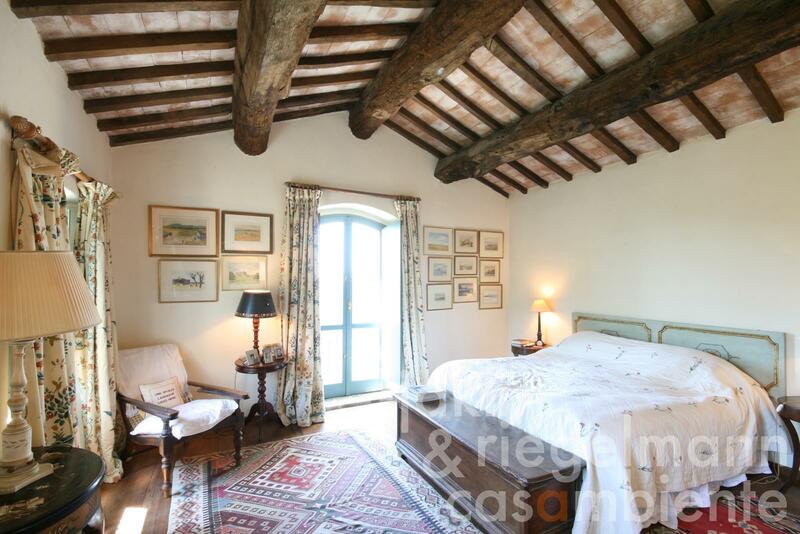 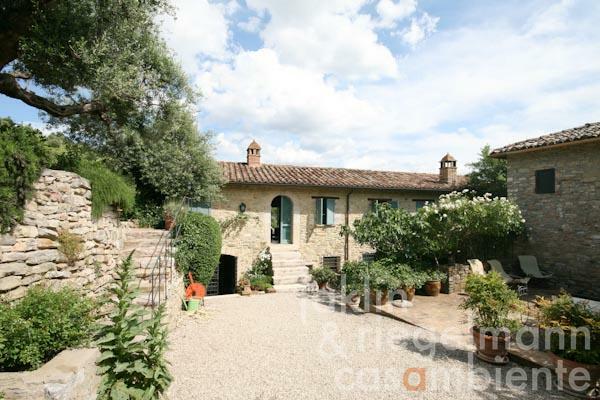 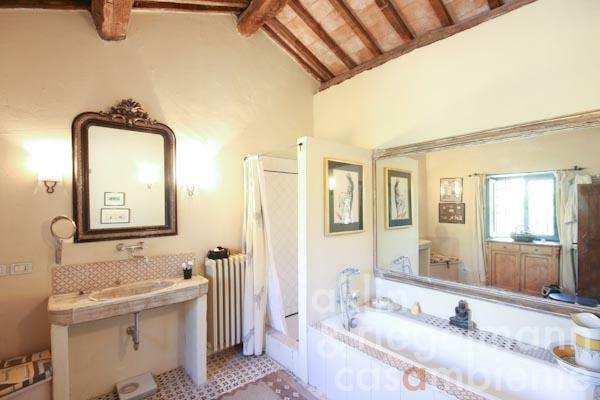 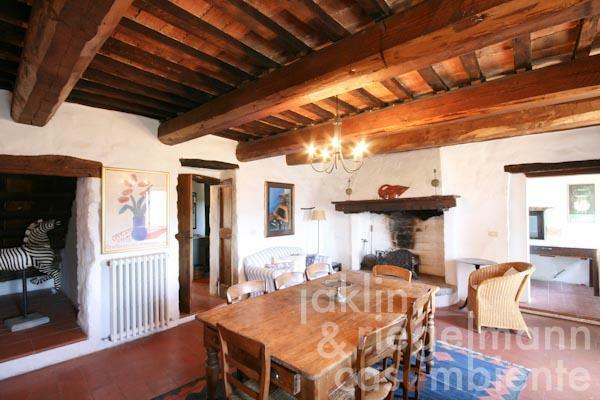 Authentic and beautifully restored manor in Umbria for sale with several buildings and swimming pool. 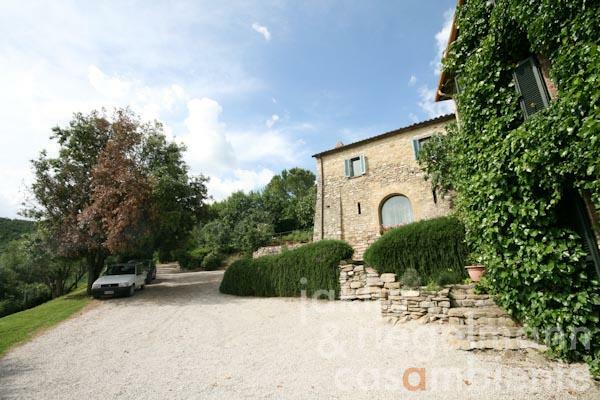 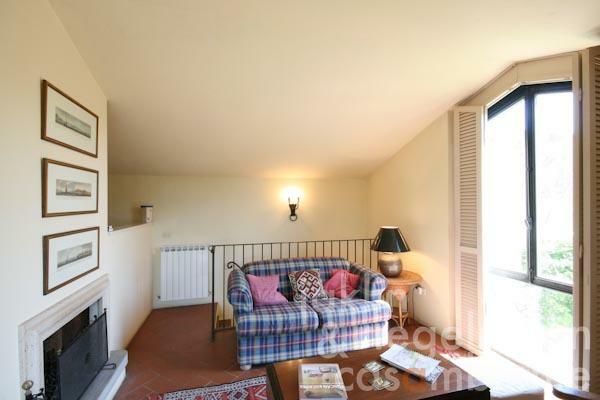 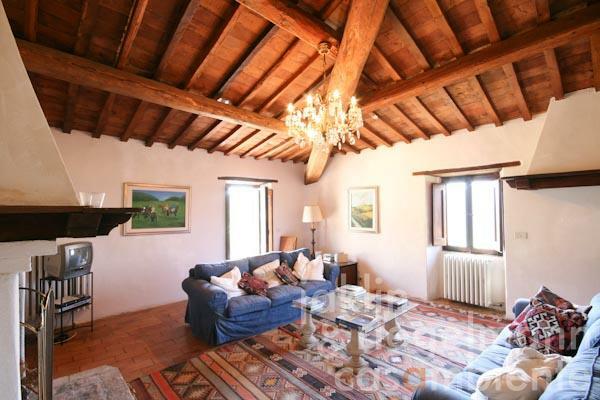 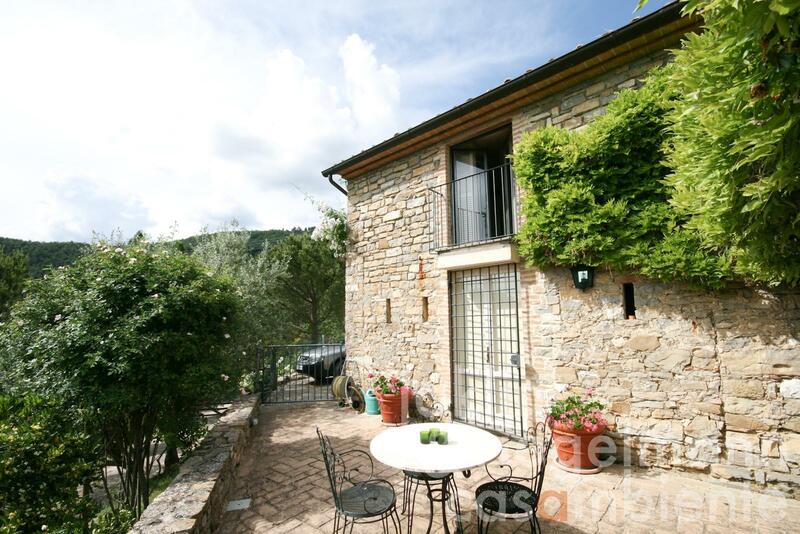 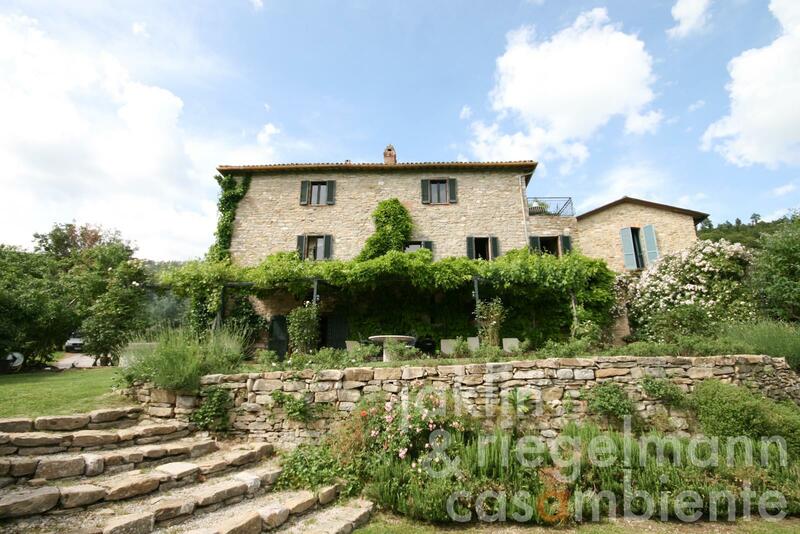 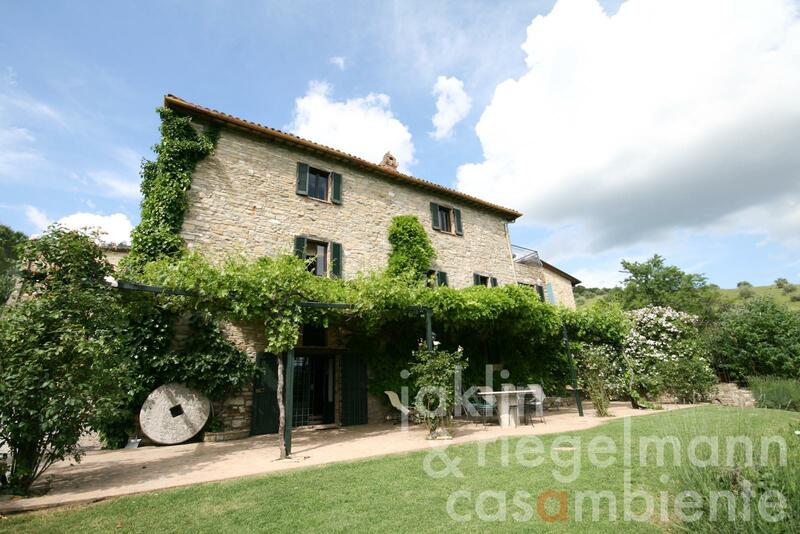 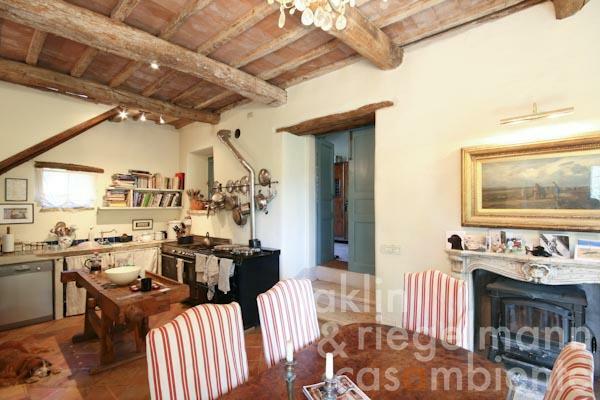 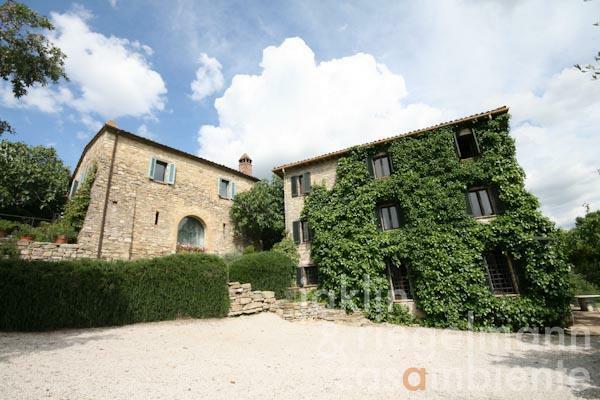 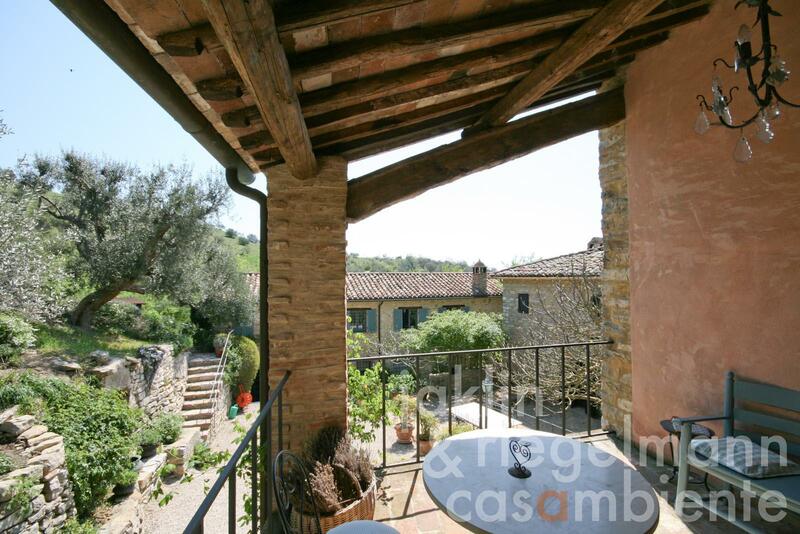 The estate for sale is located close to the town Umbertide in the green Umbrian hills. 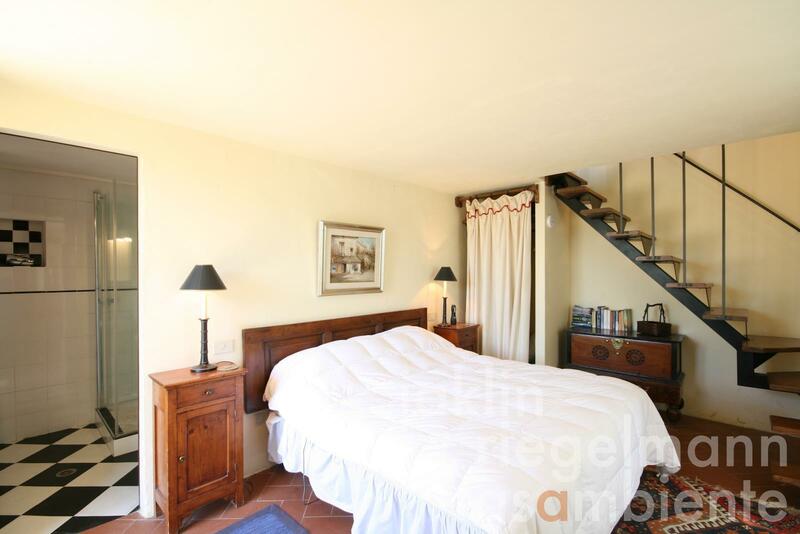 The property offers four tastefully restored buildings on spacious terraces, which form a beautiful ensemble with courtyard and well-kept surrounding garden. 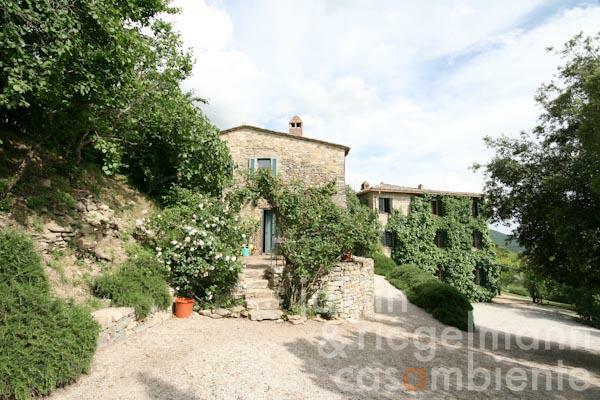 The large infinity-edge swimming pool was created on the upper terrace above the three main buildings, which offers wide panoramic views across surrounding estates and the Umbrian countryside. 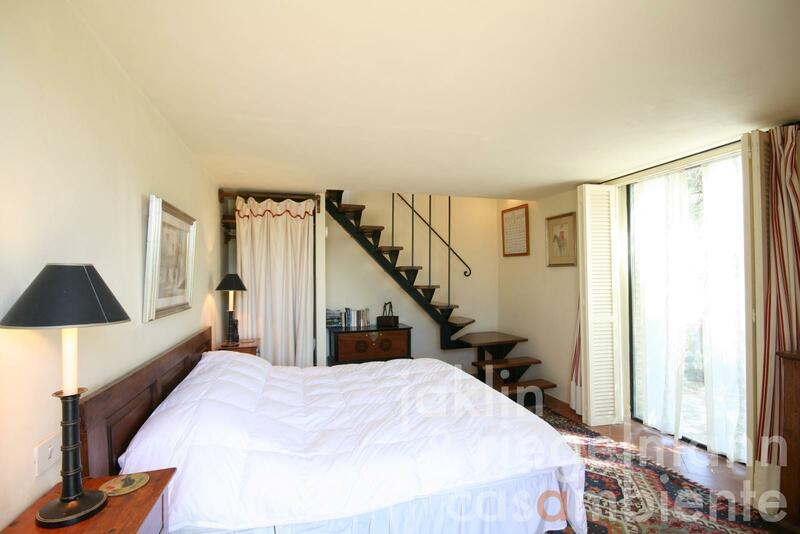 The buildings were carefully divided into a private residence and several guest apartments, which all offer private outdoor sitting and dining areas and have been successfully rented to international holiday guests for many years. 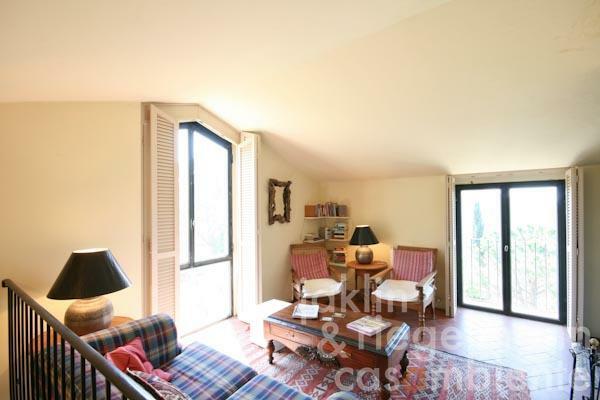 Overall composition of the buildings is exceptionally good as terraces and garden areas connect all units very well and extend the available living area during the summer months. Further, the terraced plot offers luminous rooms and beautiful views to all buildings and apartments. 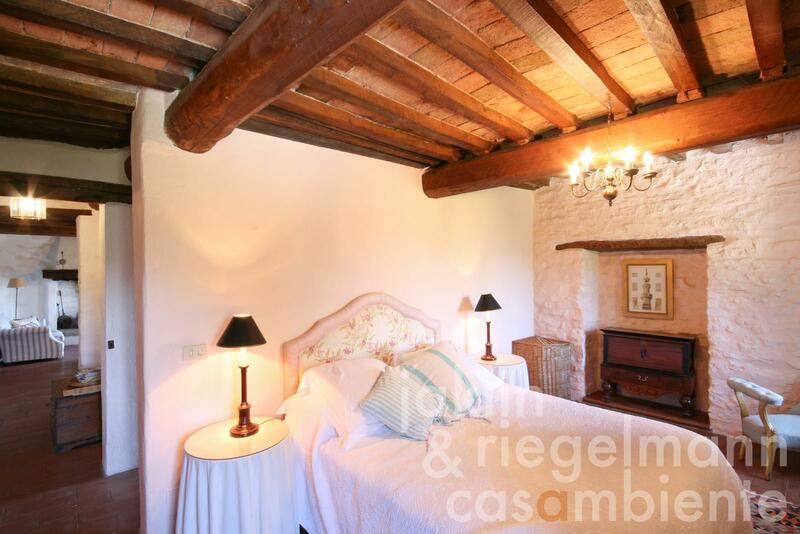 The property's origins date back to the 18th century and many original building particulars were preserved in the restoration process, which reflect the character and history of this historic property. 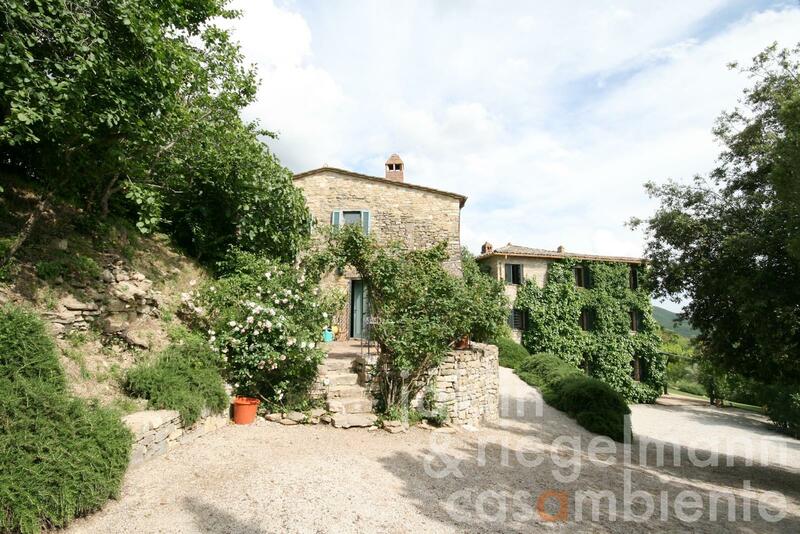 The property for sale, despite its private setting, is not isolated and the town Umbertide with all shopping facilities can be reached in only a few minutes. 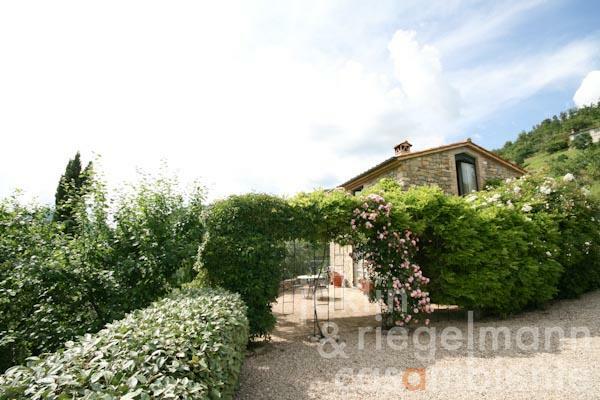 Several famous towns such as Città di Castello, Passignano sul Trasimeno, Assisi and Cortona as well as the international airport in Perugia can be reached easily. 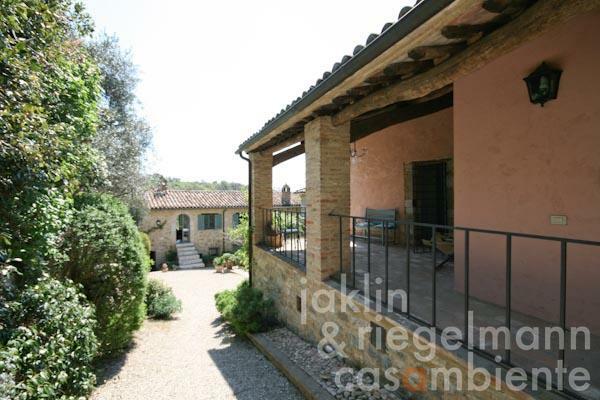 10,000 m² well-kept garden and terraces. Electricity, mains water, own well water, central heating, fireplace, gas tank, telephone, broadband internet access, satellite-TV, swimming pool, private parking, terrace, garden.